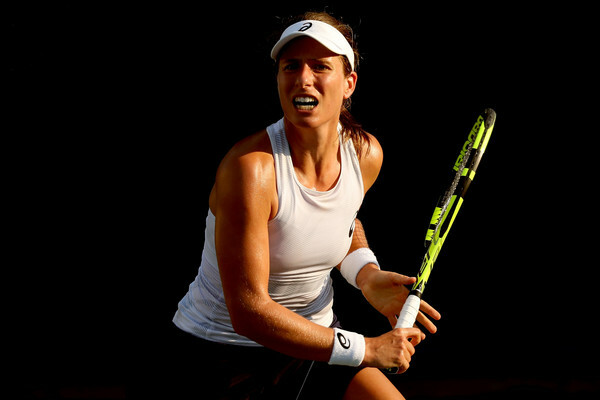 Johanna Konta will rue her missed opportunities after Aryna Sabalenka produced a stunning comeback to triumph in their first-ever meeting. 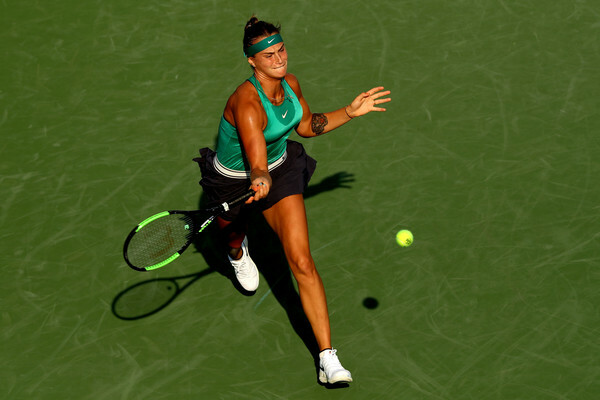 It was yet another impressive victory for the up-and-coming youngster Aryna Sabalenka in the opening round of the 2018 Western and Southern Open, with the hard-hitting 20-year-old overpowering Johanna Konta in three tough sets, having produced an incredible comeback from a set and 1-3 down to triumph after two hours and 25-minutes of play. Sabalenka, with her current run of good form, will now face either former world number two Agnieszka Radwanska, or former top-ranked player Karolina Pliskova. The Belarusian stands a decent chance to defeat either, considering that both of them failed to stop Sabalenka during her run to the Eastbourne final, where the youngster ousted both in three-set thrillers. Sabalenka started the match serving and that was a huge risk to the Belarusian after she got off to a slow start, unable to find her first serves which gifted Konta with an opening to earn a break point. However, a poorly-executed volley, which could have been a clear winner, saw Konta being wasteful on her opportunities and Sabalenka took full advantage to escape from the brink and erase the possibility of an early deficit. Konta was finding it smooth-sailing in her service games but she was the first player who blinked and put herself in huge danger of falling behind on the scoreboard. Sabalenka was viciously attacking any short shots Konta gave her, earning two break points but failing to find the breakthrough as the Brit escaped by a whisker eventually. After six tense games which went the way of the server, it was surprisingly the former top-five player who drew the first blood and grabbed the first break as Sabalenka displayed signs of inconsistencies in her game. Although the youngster managed to impressively break straight back despite Konta having two game points, Sabalenka was unable to keep up her high level of play as the unseeded Brit pounced on Sabalenka’s errors, claiming the golden opportunity to serve out the set. In what was the longest game of the opening set, Konta managed to excellently fend off three break points before sealing the tough first set 6-4 with a terrific forehand winner which clipped the line. The second set seemed to be an exact replica of the first after a slew of service holds filled the opening stages — but this time the first break of serve came surprisingly early in the third game. 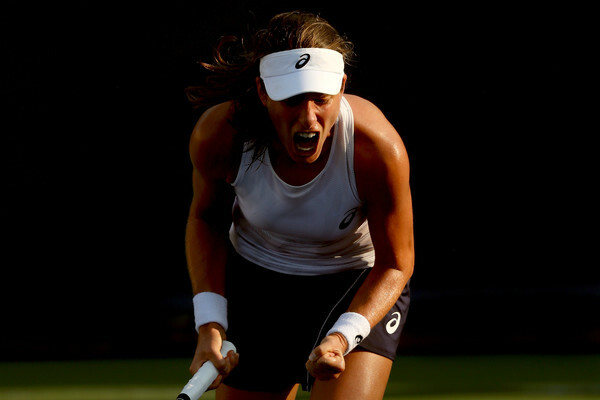 Even though lacking in power on several occasions, Konta’s ability to remain consistent and solid at the baseline frustrated Sabalenka which allowed the Brit to storm towards a commanding 3-1 lead within a blink of an eye. The winner seemed to be relatively obvious but Sabalenka was determined to provide a tough fight and refused to let loose. After losing four points in the service game which she was broken in, the Belarusian did not concede any points on her serve to send off an assertive message. Konta faltered upon the sight of the finishing line, and Sabalenka stepped up her game to rattle off five consecutive games, claiming 14 of the last 16 points to come out of nowhere and take the second set 6-3 after a quick 33 minutes of play. Chances were everywhere on the court in the early stages of the deciding set, but neither of them could take any. Konta retrieved from a 15-40 deficit to hold for 2-1 while Sabalenka claimed a tough service hold with a clean forehand winner. Another lengthy game followed but Konta held her nerves and kept her cool whenever it mattered. However, things were just meant to be, with Konta putting in an astonishing service game at a crucial moment with the scores at 3-3. Consecutive errors followed by a double-fault gifted Sabalenka with the first break of the final set and 11 consecutive points to the Belarusian saw her being just a game away from the win. Konta did not completely falter away though — she saved a couple of match points before holding her serve for 4-5 and lessening the deficit, forcing Sabalenka to serve out the match. The youngster was absolutely nerveless during her service game, exhibiting her confidence as she served out the outstanding comeback victory, with Konta throwing in a shocking return error on Sabalenka’s third match point.